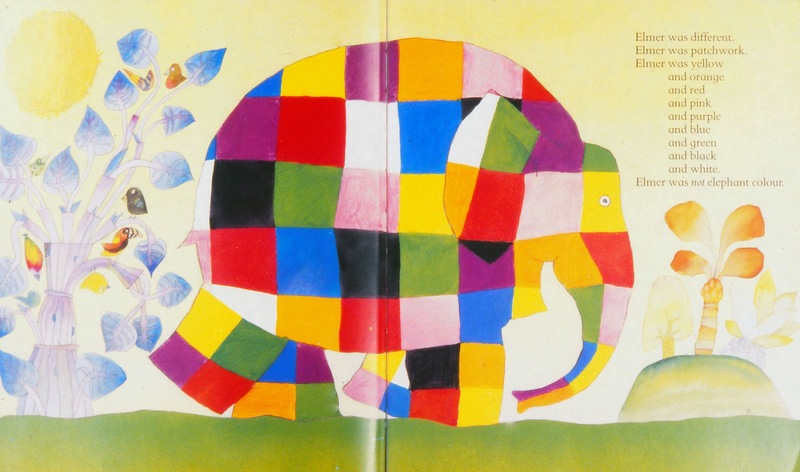 In the late '70's I purchased a book for my daughter, it was called "Kate's Quilt" by Kay Chauro and since her name is Kate and I had made her a quilt it was an obvious purchase. That little book started a collection that has grown to about 150 children's books that are about quilts, have quilts in the illustrations or where the illustrations were made using quilting techniques. 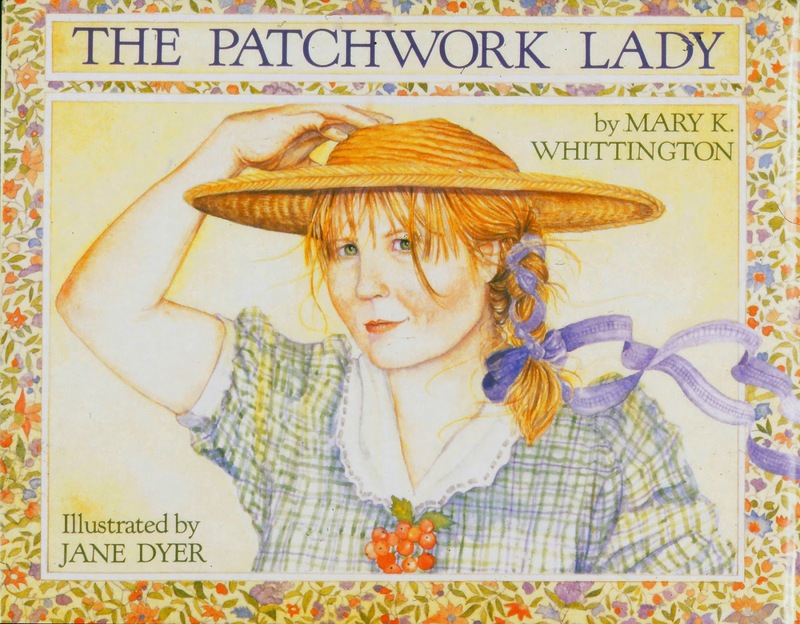 The Patchwork Lady is one of my favourites, but then so are a lot of others! As my collection grew, I wnated to share this love of mine with other quilters. I wrote to all the publishers of the books that I had at the time to get permission to take slides of the book covers and a couple of slides of the pictures in the book. It took some time to hear back and most did reply and readily gave me permission. Penguin who published Kate's Quilt sent me a package full of legal documents to sign and I had to pay them to do this, I wrote back and suggested that they would make more money because I was promoting their books, they sent another package of legal documents. Needless to say I gave up and have not photographed "Kate's Quilt"! It is now out of print but you can see it here on Amazon. 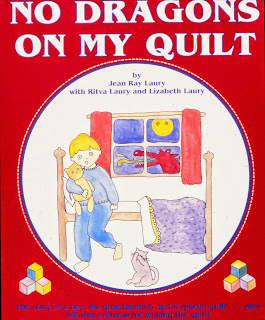 Renowned quilter and teacher, mentor to many quilters, the late Jean Ray Laury wrote this wonderful book No Dragons on my Quilt. I am really lucky to own one of the original drawings from the book. 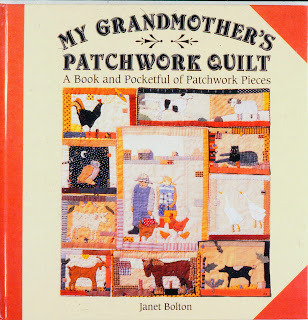 My friend Janet Bolton from England has wrote My Grandmother's Patchwork Quilt as well as Mrs. Noah's Patchwrk Quilt both of which come with fabric printed with the desing so you can make your own quilt as illustrated in the book and she has written a series of board books. I have given my "Once Upon a Quilt" lecture at several Guilds and at Quilt Canada as well as at a few schools. I remember going in to one grade one class and unbeknownst to me the teacher had asked all the kids to bring in a quilt if they had one and they were all strung up on a clothesline around the classroom. Each child who brought one shared the story of their quilt. Elmer the Patchwork Elephant is published in both board book format and paperback, there are several titles about Elmer. Happy reading everyone! Barbara is a quilter from Nova Scotia on the east coast of Canada. She has been quilting for 42 years (though she finds it hard to believe that number!). She is primarily a hand quilter (stab stitcher, more about that later), machine piecer but she also loves to hand appliqué, hand piece, and machine appliqué. She always has many projects on the go! Find her on Instagram as @foxpointquilter. 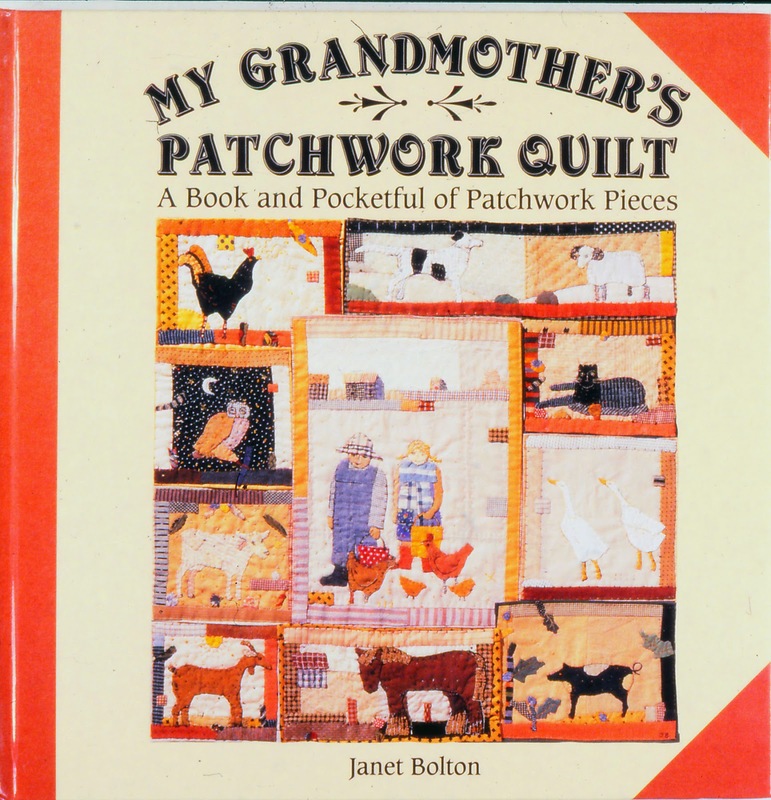 A lovely read about your collection of quilts in storybooks - a treasure of enjoyment. 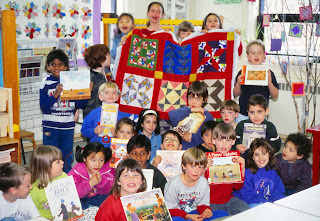 I love children's lit and quilts - what a great collection you have! 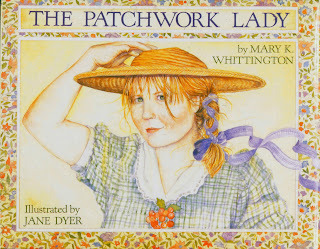 I recently found a picture book about the Gee's Bend quilters that has inspired my girls to make their own collage quilts.